1. 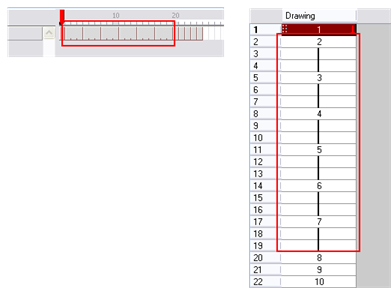 In the Timeline or Xsheet view, select the cell range on which you want to set the exposure. ‣ Animation > Cell > Set Exposure > Set Exposure to 1. ‣ Animation > Cell > Set Exposure > Set Exposure to 2. ‣ Animation > Cell > Set Exposure > Set Exposure to 3 . ‣ Animation > Cell > Set Exposure. You can also click the Set Exposure buttons in the Timeline View toolbar’s extra buttons or right-click the selected cells and choose . If you choose the Set Exposure option, the Set Exposure dialog box opens. 4. 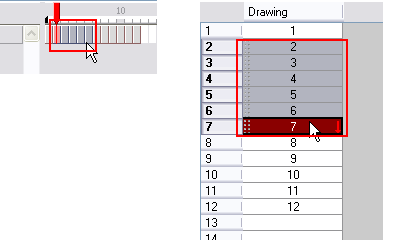 Type the number of frames you want the drawings to display and click OK.